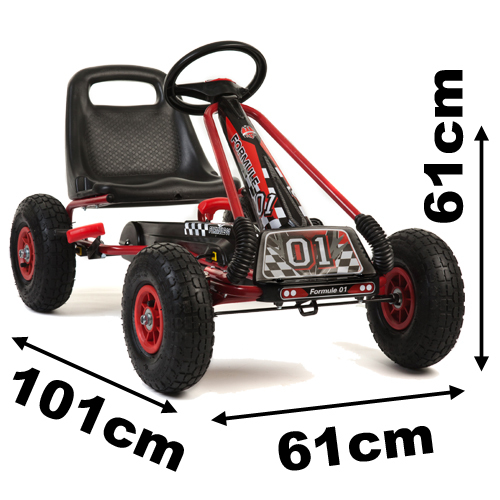 Metal frame – Metal tubular chassis with metal drive axle means the kart is strong and robust. Rubber inflatable wheels – Real rubber tyres for a superior ride. Gear lever – The gear lever allows the pedals to be dis-engaged, allowing the kart to be pushed without the pedals turning. Hand brake – Hand operated brake, pull the lever and it directly activates the brakes on to the rear wheel. 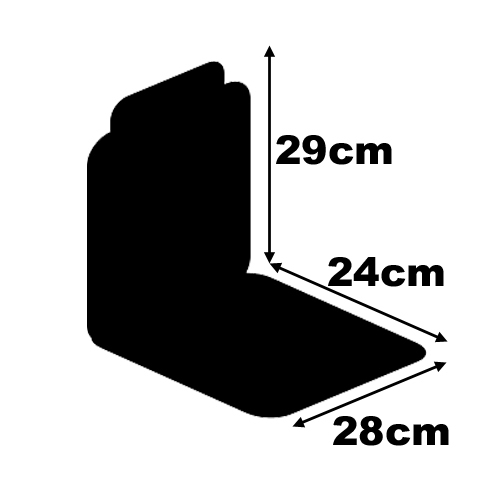 Easy assembly – No difficult assembly required, this is a simple model that can be ready to use in a short time. Charge time – 1 x full night's sleep! Maximum speed – As fast as your child can pedal. Suitable operating surface – Flat lawns or grass, firm gravel, or any relatively firm, flat surface.